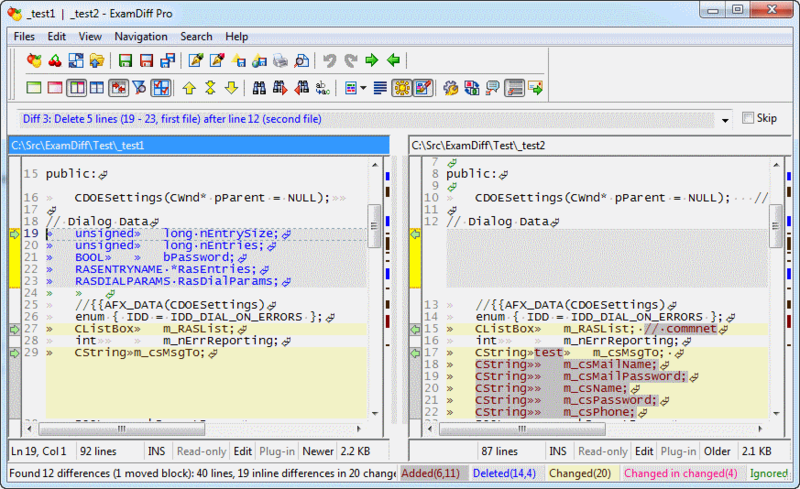 The new OOXML2Txt plug-in for ExamDiff Pro allows you to compare Microsoft Word, Excel, and PowerPoint documents created in the OpenXML format used by Office 2007 or later (in the case of Word and PowerPoint, documents are converted into plain text for comparison, and in the case of Excel, documents are converted into comma-separated format). As with other plug-ins, OOXML2Txt only extracts text, so graphical elements such as images and text formatting are not included in comparison. 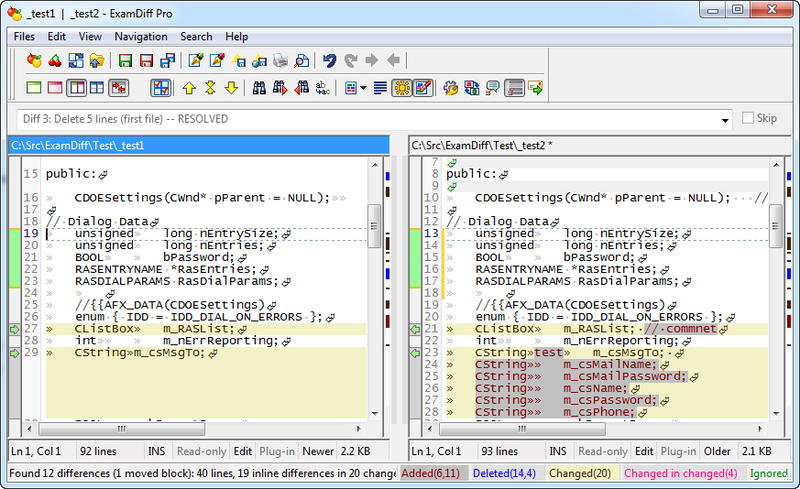 OOXML2Txt is included in ExamDiff Pro 5.5 Beta. 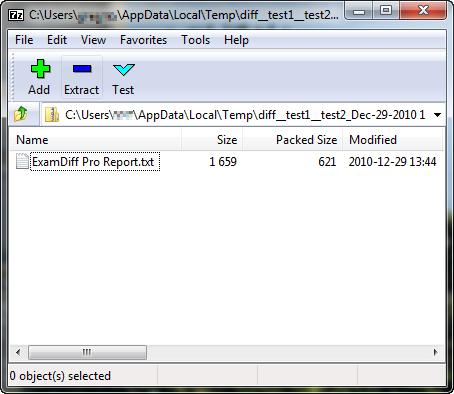 You can also install OOXML2Txt for older versions of ExamDiff Pro. 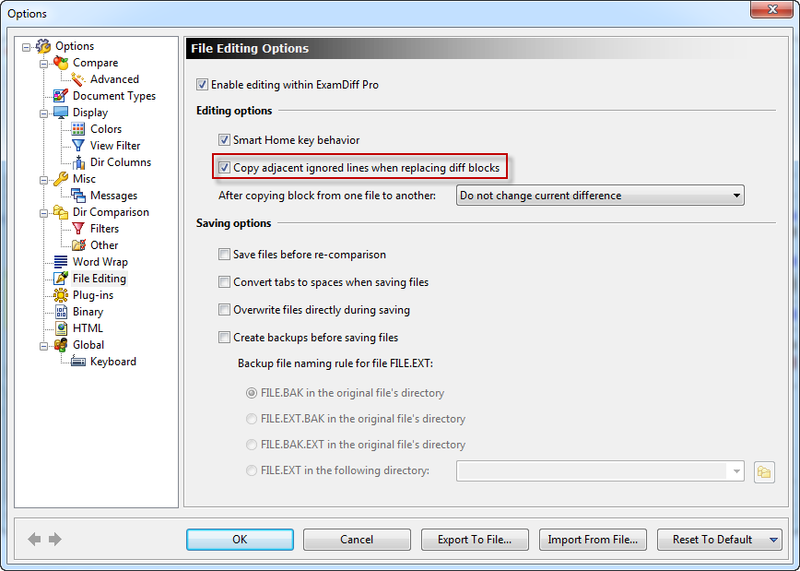 However, if you are using an older (pre-5.5) version of ExamDiff Pro and you have the Unzip plug-in installed as well, you may need to remove the OpenXML name filters "*.docx,*.docm,*.dotx,*.dotm,*.xlsx,*.xlsm,*.xltx,*.xltm, *.xlam,*.pptx,*.pptm,*.potx,*.potm,*.ppam,*.ppsx,*.ppsm" from Unzip (the default behavior for previous versions of ExamDiff Pro was to use the Unzip plug-in on OpenXML files). 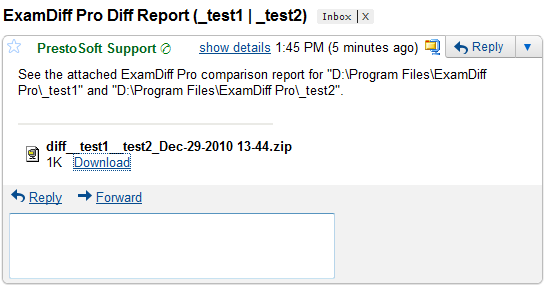 ExamDiff Pro 5.0 introduced the Email HTML Diff Report command to make it easy to share diff reports. The next version of ExamDiff Pro will facilitate diff report sharing in batch jobs by introducing an /em command-line option to email diff reports. 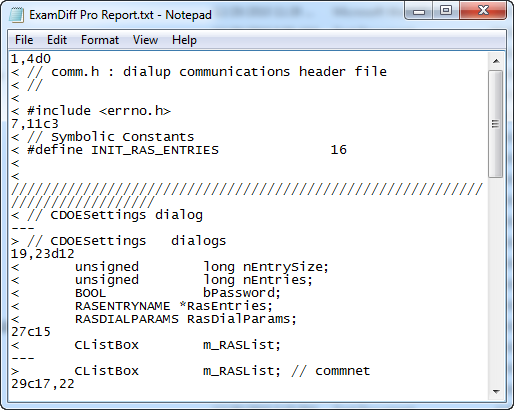 This command-line option prepares an email with the diff report as an attachment and sends the email automatically through the default email MAPI client. In my case, my default client is Mozilla Thunderbird, but asks me to confirm before the email can be sent, as seen below. Most email clients will behave in the same way. After I hit OK, the email is sent.